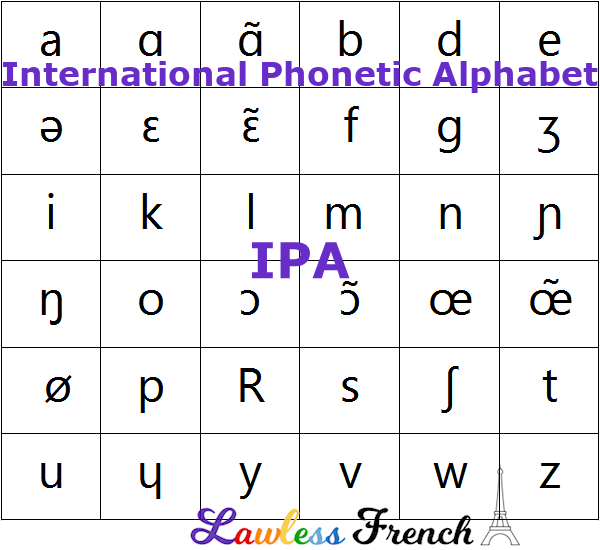 The International Phonetic Alphabet, or IPA, is a set of characters used to standardize pronunciation explanations across languages. 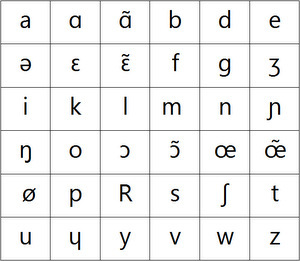 Since any given letter may be pronounced differently in two languages (and even within a single language), the IPA uses a unique symbol for each sound, which makes pronunciation discussions much easier. Knowing the IPA is particularly useful when you look up a new word in the dictionary to find out how it’s pronounced. For example, the sound that may be spelled c (cat), ch (chaos), ck (pack), or k (kite) is always spelled [k] in the IPA. Meanwhile, the c in "ice" and the s in "sit" are always spelled [s]. Similarly, you already know that the letter r is pronounced differently in English and French, and you may know that it has a third pronunciation in Spanish. These three sounds each have their own IPA symbol, which eliminates confusion about how to pronounce them in any language. IPA spellings are placed between square brackets [ ] or slashes / / (yes, there is a difference). Each sound has a single symbol, and each symbol has a single sound. IPA spellings often do not include spaces between syllables, but I find it helpful to add them. French IPA diacritical mark: [ ‘ ] indicates a forbidden liaison, for example, [‘e ʀo] (héros).